ForthSemi ( Forth Semi Co., Ltd), the manufacturer of LED lighting products and R&D center, was established in 2010. ForthSemi is a prominent Hi-tech company aiming at LED lighting research, manufacturer and application. The products of ForthSemi include intelligent spectrum, professional exhibition display lighting, grow lighting and internet terminal lighting, etc. ForthSemi hold more than 30 inventions in the semiconductor technology, LED lighting and other fields, and won two innovation award in the past years. Our in-house facilities allow us to specialize in the design, mechanical implementation, and production involved in the manufacturing process. We provide the complete set of certificates as TUV, CE, RoHS, FCC, etc., and additionally offer a full selection of supportive parts which are also certified. We’ve grown from small manufacturing to a full range R&D center and now we are committed to providing our customers with high quality products and services and ensure that we offer you appropriate products which fit your needs and help your businesses. Our customers are involved with uses of LED lighting for electrical/electronic manufacturing, wholesale, retail, sports goods, hospitality industry, architecture and construction, etc. 9. The electronic compatible and inductive LED lights started the transformation of the identification project of Shanghai High-tech achievements in 2017. Sam is the President and Chief Executive Officer of ForthSemi. He has an extensive background in semiconductor and electronics industry, including various engineering and management positions at China Resources Microelectronics Limited, Vanguard Group, Ansoft, Orion Microelectronics, MStar Semi. He possesses a vast network of business relationship in different countries and regions, which empowers his strong international vision and capability. Prior to ForthSemi, he co-founded Orion Microelectronics and MStar communications, a subsidary of MStarsemi, MStarsemi listed in Taiwan 2010, as one of the world's top 10 fabless semiconductor companies. Sam holds an MSEE degree from Tsinghua University, with 10 patents to his name, registered in the United States. The founders of ForthSemi hold more than 30 inventions in the semiconductor technology, LED lighting and other fields, and won two innovation award in the past years. 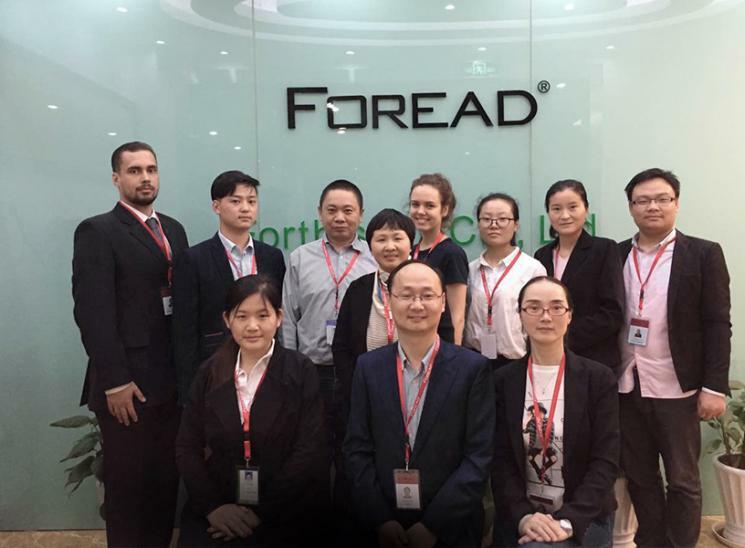 The President and Chief Executive Officer of ForthSemi has been in Singapore, Taiwan and the United States for more than 20 years, working in semiconductor and electronics industry for a number of listed companies. The Chief Technology Officer has been been postdoctoral of Tsinghua University, Researcher of Carnegie Mellon University, holds more than 20 inventions in the semiconductor technology, projection display light machine, LED lighting and other fields in the United States. The Chief Marketing Officer, James Lee, has been in international business for more than 15 years, he got an award in the Innovation Entrepreneurship Competition organized by Shanghai Science and Technology Committee and in 2016 he acquired the Contribution Award attributed by Shanghai Lingang Science and Technology Group.